Hello, I am Miss Young. I received the following "work-at-home" email. Be aware of these offers. In most of these offers the real deal is that they send you a false check (that may be honoured in the first place) and you return 90% of it by Western Union. When the check after a while bounces, you have lost all the money you sent. Thank you for your interest in learning more about this offer. Wrap advertising is the marketing practice of completely or partially covering (wrapping) a vehicle in an advertisement or livery, thus turning it into a mobile billboard. This can be achieved by simply painting the vehicle surface, but it is becoming more common today to use large vinyl sheets as decals. These can be removed with relative ease, making it much less expensive to change from one advertisement to another. Vehicles with large, flat surfaces, such as Truck, SUV, and Sedan are easy to work with, though smaller cars with curved surfaces can also be wrapped in this manner. Wrap advertising is available to anybody irrespective of the vehicle you drive. We are currently seeking to contract individuals in Canada and US. 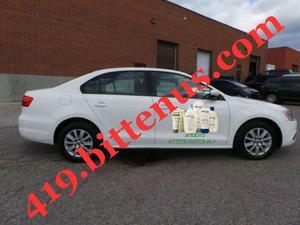 How would you like to make money by simply driving your car wrapped for Aveeno Canada? your car' s exterior surface. What is the Contract Duration? Once the wrap has been installed, minimum duration is 12 months and maximum is 18 months. Would the wrap/decal damage the paint of my car? The decal doesn' t damage the paint of car and will be removed by our wrap expert once the contract expires. We will be responsible for installation and removal of the wrap. You will be paid $380.00 per week which is essentially a "rental" payment for letting our company use the space and no fee of any sort is required from you. Aveeno Canada, shall provide experts that would handle the advert placing on your car. You will receive an upfront payment of $760.00 in form of a check via courier service for your first and second week pay. Attached is a sample of the car wrap for your review. The estimated car wrap expenses is $3,110.05 (includes cost for installation, removal and logistics). Thus, upon receipt of your information and approval by the management, you will receive a payment cheque from the product sponsor for $2,350.05 to cover the car wrap expenses (decal installation and removal) and the $760 up-front payment for the first and Second week pay, while payment cheque for subsequent weeks will be mailed to you on weekly basis. On receipt of the payment for the decal wrapping on your car, you will deduct $760.00 as up-front payment and remit the balance funds to the Wrap Company that will wrap the decal on your vehicle. Thereafter, the date for your car wrap will be scheduled so you can make your car available for the wrap. We await your email with the requested information to proceed. Toronto, ON M5C 2W7, Canada.